The European Union’s Common Agricultural Policy is a sprawling programme of farming subsidies that covers everything from income support for farmers to supporting the promotion of products such as wine. No wonder then that the European Commission, the EU’s executive branch, wants to “modernise and simplify” the policy. This is why the EC has just published its legislative proposals for the CAP after 2020. Its aim is to make sure that the CAP continues to support farmers and rural communities, that it leads the sustainable development of EU agriculture, and that it reflects the EU’s ambitions on the environment and climate change. Across the years 2021-2027, the proposed CAP’s total budget will be around €365 billion. However, the food system in Europe and the UK faces some critical sustainability challenges. And, despite some welcome new objectives – particularly on the environment – and new support payments for young farmers, the proposals clearly do not go far enough on areas such as health. Europeans deserve an agricultural policy that addresses their health. Too much red and processed meat, and food with lots of fat, sugar and salt means more than 20 per cent of the continent is now obese. Poor diets are also responsible for half of the burden of cardiovascular disease, which remains the leading cause of death in the EU. However, the CAP announcement contains little on health measures. The EC recently called for better access to “nutritious valuable products such as fruit and vegetables”, yet the new CAP contains no new policy instruments and no specific targets for fruit and veg. This is disappointing and, unless addressed in the final legislation, will not go unnoticed. From a public health perspective, this really is “low-hanging fruit” as the need for more fruit and vegetables is uncontroversial: the World Health Organisation’s 400 grams per day is a widely accepted minimum standard and Eurostat already provides comparable data on consumption in the EU. Implying that the school scheme will do the trick is a severe disappointment. 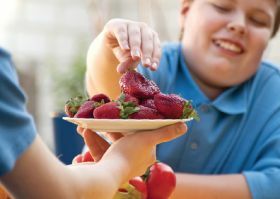 The scheme promotes the benefits of healthy eating to children and encourages them to increase their consumption of fruit, vegetables and milk – yet its current budget is just 0.33 per cent of the CAP. The CAP’s sometimes incoherent position on the use of public money is nicely illustrated by its support for the wine sector. Excessive alcohol consumption is a well-known public health problem, and wine subsidies themselves have often been criticised. Yet the draft proposal for CAP reform accords considerable attention to wine-promotion measures. Most perversely, the increased value of wine sales may well be one of the policy’s indicators of success. The CAP reform does outline new environmental initiatives such as a new agri-environmental scheme and the first-ever initiative to address the decline of pollinating insects. This is welcome, bearing in mind the overuse of pesticides means three-quarters of flying insects have disappeared, jeopardising pollination and yields. Taking into account that global food and farming production contributes 30 per cent of all greenhouse gas emissions – with 18 per cent from livestock – it will be important to see the details of how the new environmental scheme incentivises climate action. It was disappointing so see nothing specific on soils, as Europe loses 970m tonnes of topsoil every year to degradation and erosion. Europeans also waste 71kg of food per person every year costing €143 billion (2012 figures) in wasted resources and environmental impact – and there is nothing in the announcement on waste measures, which is a missed opportunity. What Europe desperately needs is a new comprehensive food policy – one that actually tackles these huge challenges to human health and society, or the environment, across the food system not just at farm level. The EC could start by making healthy and sustainable choices easier for regular people. That might involve new guidelines on public procurement, a continent-wide child obesity strategy or more CAP money set aside for promoting fruit and vegetables. Europe could also set targets for using fewer antibiotics and pesticides and could integrate healthy and sustainable nutrition into school curricula. Rising food insecurity across the UK and Europe also means measures must be targeted at those vulnerable groups who aren’t able to access healthy diets. Protecting soils in the face of degradation and nutrient loss could deliver major environmental and health benefits, but the EU and member states have failed to act on this basis, and a proposed directive on soil has remained stalled since 2006. Targeting CAP payments for ambitious crop rotations with a minimum share of legumes would be a more positive approach. Perhaps the new environmental scheme could be more ambitious and include such measures. Incentives should be targeted at those practices across the food system that positively pursue improvements in the soil, water and biodiversity. Let’s also target specific payments for environmental services that favour mixed crop-livestock farms and grassland systems.